A nature reserve in Oxford is under threat following the approval of a new housing development, campaigners say. Oxford City Council is building 10 homes on Warren Meadow close to Lye Valley, which is home to two Sites of Special Scientific Interest (SSSI) and some threatened plant species, including the marsh helleborine orchid. Campaigners believe the development will affect the area's water supply. A new drainage system aims to minimise any risks, the council said. 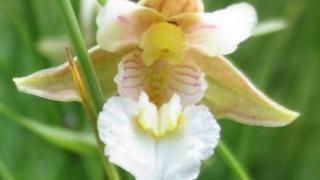 More than 300 plant species have been identified at Lye Valley, including the grass-of-Parnassus and marsh helleborine orchid which are on the International Union for the Conservation of Nature's (IUCN) Red List of Threatened Species. Dr Judy Webb, an ecological consultant and chair of the Friends of Lye Valley group, said she understood the pressure for new homes but said they did not have to go in areas of "such incredibly high sensitivity" as Lye Valley. "The evidence of change might be quite a long time coming and then what could you do? You couldn't unbuild the houses," she added. The planning officer's report stated: "The proposal has considered the potential risk to the Lye Valley SSSI and Lye Valley Nature Reserve from changes to surface and groundwater flow to these sensitive sites, and developed a sustainable urban drainage system which if implemented in accordance with the details submitted in the application would minimise the risk of adverse impacts on the SSSI or local nature reserve."